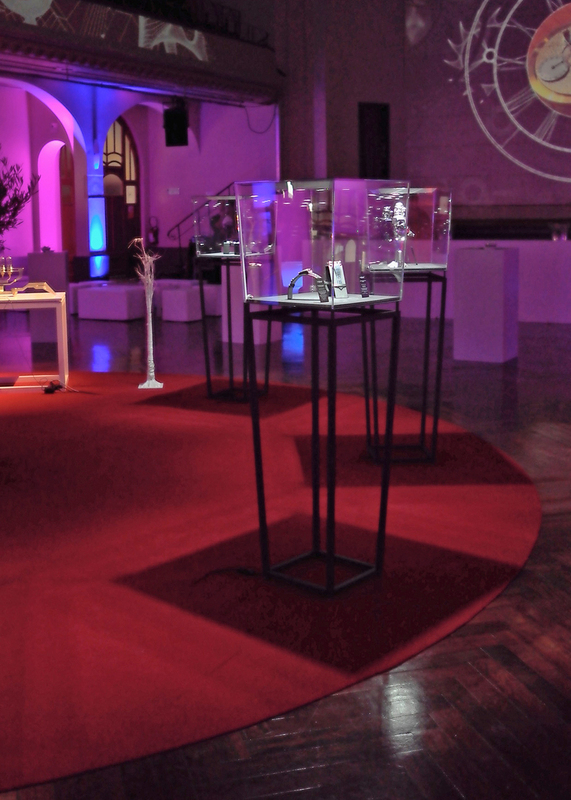 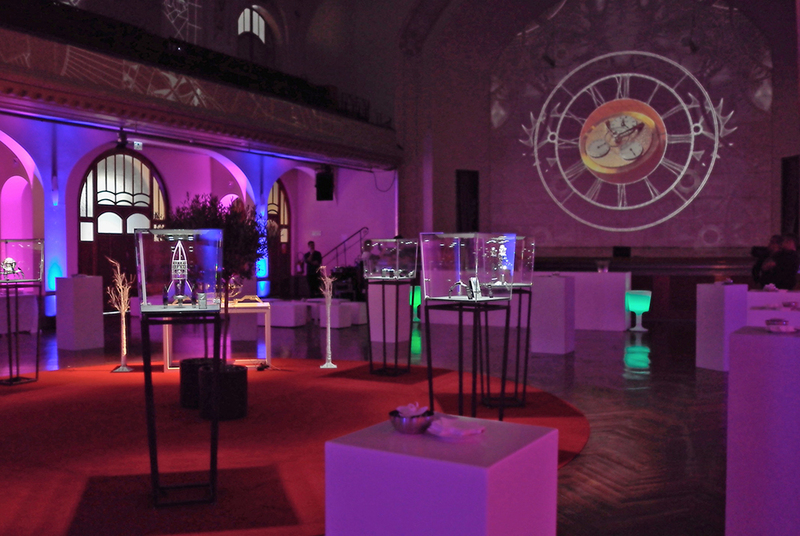 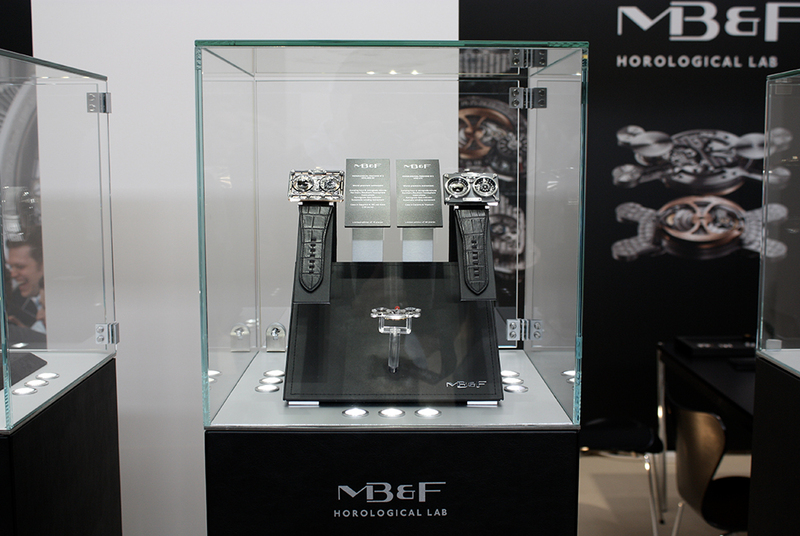 Mb&F and the Pegase2 display cases in Geneva. 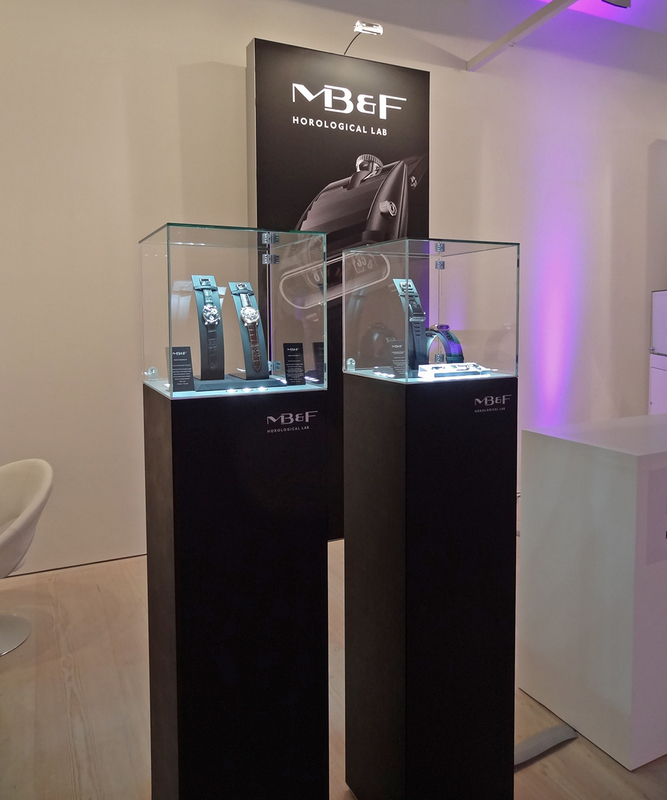 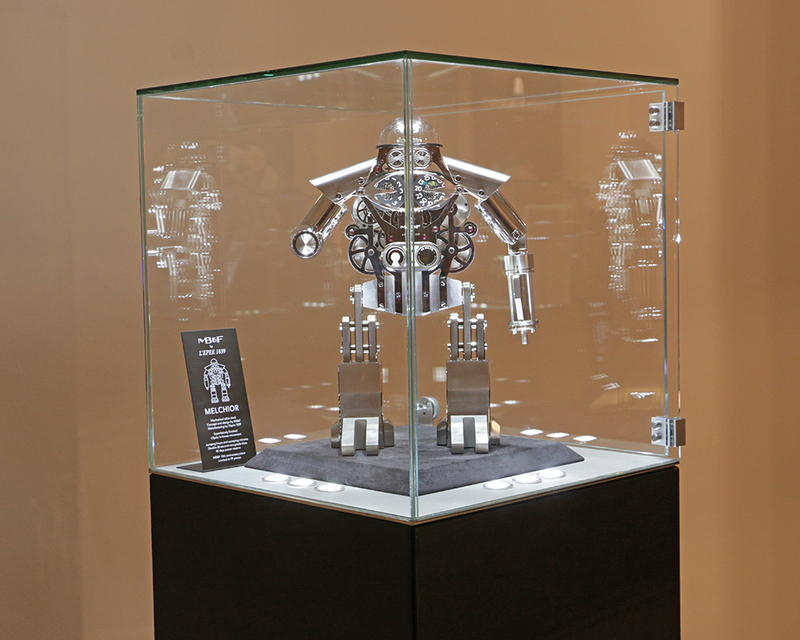 Mb&F at SalonQP and Baselworld. 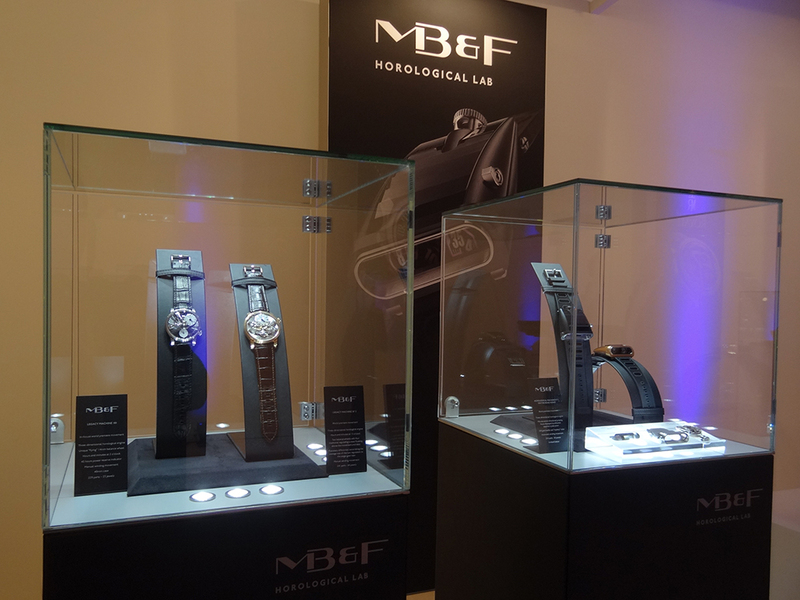 Black leather monolith display cases.